If you go for ribs and end up ordering short ribs, you will be served something completely different. It’s all about the short ribs they say, but what are short ribs? Short ribs are pieces of meat that are too small to be used for high-end steaks because of their size, but what they lose in size they cover in flavor. These flavorful marbled ribs are packed with fat that makes them perfect for braising and festive slow cooking. What do short ribs taste like? Short ribs come from the beef chuck section but also fall between the chuck and the rub section; essentially best of both worlds. Marbled, and packed with flavor, the fat content in this cut makes it a mouth-watering choice of comfort food. How to cook short ribs? We could write pages and pages on how to cook a cut of beef, but in reality cooking, anything is more of a matter of personal preferences. 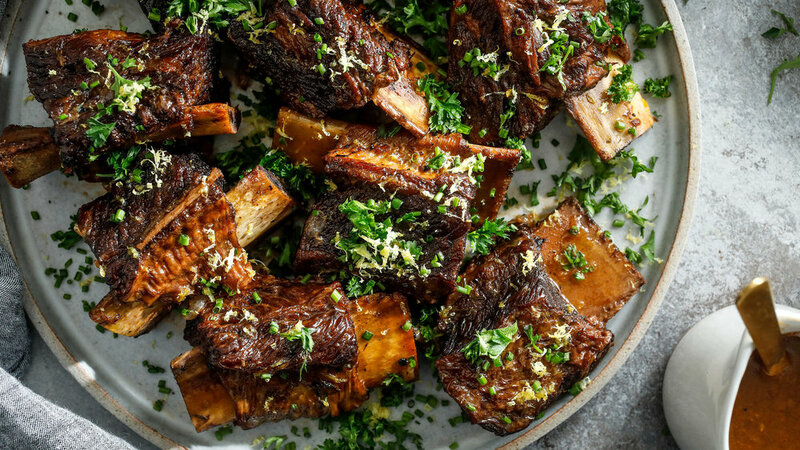 To make things easier, we combined a list of tips, tricks, and recommendations when cooking with short ribs. 1. Braising is a popular technique when cooking with short ribs. This combination of high and low heat cooking brings out the flavor that this cut is loved for. 3. You can leave the meat in whole form i.e. boneless short rib and pan sear it for a delicious, flavorful steak. Like each cut , short ribs too have their own flavor and uniqueness. And like any other cut of meat, how you cook it, and use it is up to your personal preference and tastes.